It’s no surprise that we Singaporeans love - and live - to eat. However, there’s always that one friend that takes their love of food to a whole new level. You know who I’m talking about - it’s only noon and they’re already excited for dinner, or the one who might be in need of an urgent pizza intervention. Because really, how much pizza is too much pizza? So whether you’re freaking out about last minute Secret Santa presents or just are in a jolly good mood, here are some gift ideas for those friends who are always sibeh hungry. Get it for: That friend who’s already thinking about what to eat tomorrow. Trying to think of what to eat for lunch each day can be quite the task. 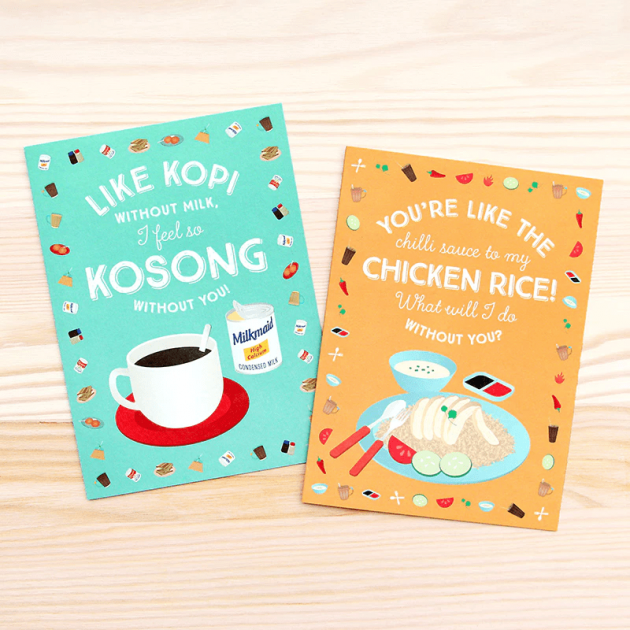 Should you have chicken rice or a nice laksa? Make someone’s life a little easier with this handy weekly planner, which also doubles up as a hilarious food journal. With 60 pages to last more than a year, there’s no need to worry about having the makan blues for a long, long time. Get it at The Little Dröm Store’s website here. Get it for: That friend who loves old school treats. As a tutu kueh lover, I knew I had to get my hands on MEYKRS’s range of pouches - though something tells me I wouldn’t have been able to resist getting one of these whether I liked kuehs or not. 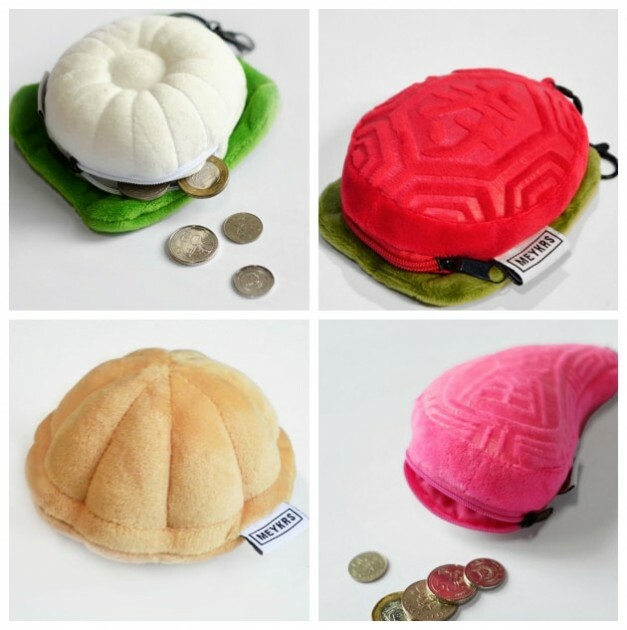 Each pouch is skillfully made and holds a decent amount of coins, making it a charming yet practical little gift. Get it online at MEYKRS’ website here, or in-store at any Naiise outlet. Get it for: That friend who works in the CBD and has to squeeze with half of Singapore every lunchtime. Forget about tissue packets and bulky umbrellas. 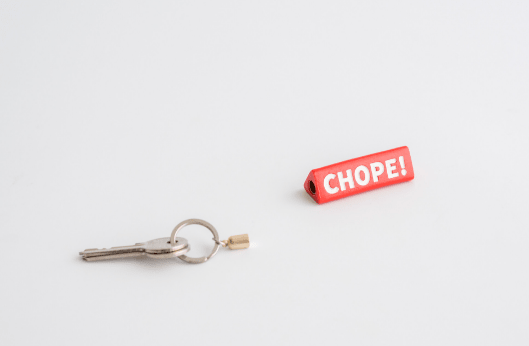 With this keychain, your friends can level-up their chope skills without worrying about being called an uncle or aunty. It’s magnetic, so all you have to do is detach it from the handle, slap it on the nearest empty table and relish in the fact that you’re the coolest chope-r around. And if you’re confused about how to do it, there’s even a video to help you out. Get it for: That friend who craves festive goodies no matter the season. Got a friend who can’t seem to resist pineapple tarts all the time? Do them a favour and get them these earrings that look exactly like everyone’s favourite festive treat - but minus all the calories. The attention to detail is amazing, with each product intricately crafted out of high quality polymer clay. I mean, look at that sweet glaze! 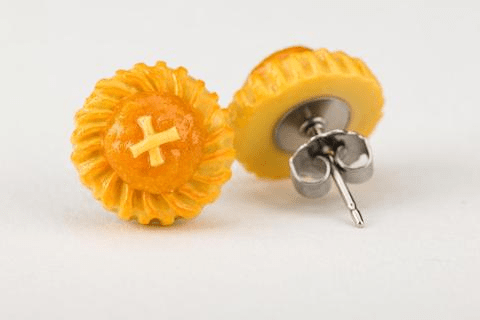 Each product is handmade by the people at Miniature Asian Chef, making it a unique and quirky gift for a special friend. Get them here. It also comes in a ring version at $18! Get it for: That friend who’s always ordering McDelivery. If your friend’s idea of a good night is Netflix and chilling with a McSpicy, this Hamburger Pencil Case from Typo might be the perfect gift for them. They’ll be the coolest kid at school for sure, and perhaps also the hungriest. 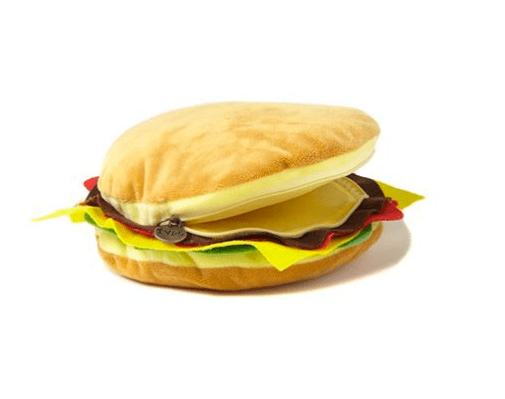 The case is almost the size of an actual bun, and would be a nifty present for any fast food aficionado out there. Get it on Cotton On’s website here or at any Typo store near you! Get it for: That friend who actually knows how to cook something other than Maggi Mee. 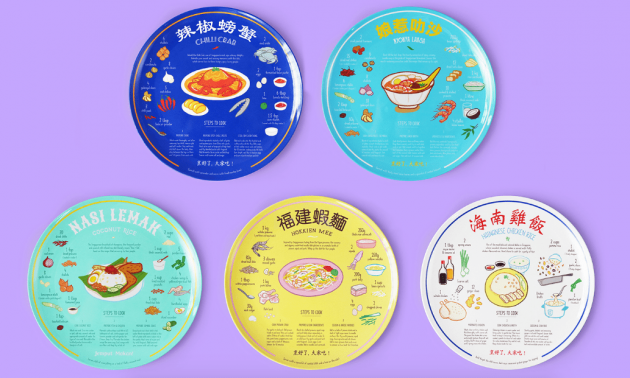 If you’re lucky enough to have friends that can cook without setting their kitchens on fire, get them Recipe Plates by Souvenirs of Singapore. 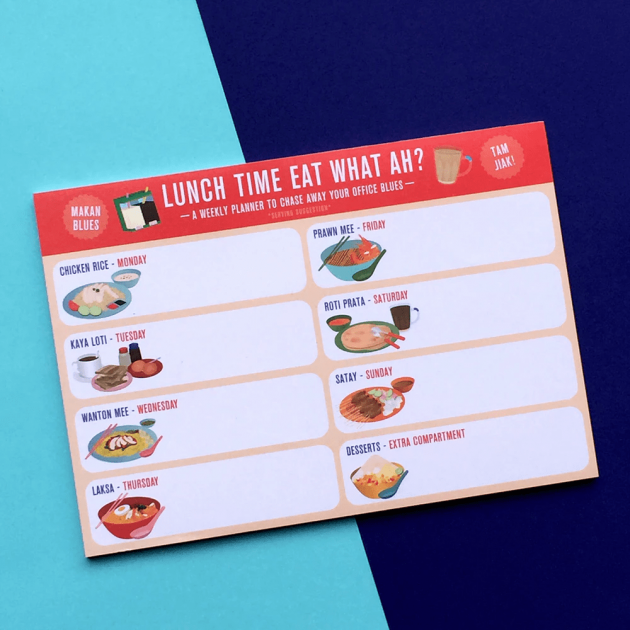 They come in 5 different designs, such as Nyonya Laksa, Nasi Lemak, and even Chilli Crab for anyone who is game enough to recreate one of our nation’s favourite dishes. And hey, you might even get to try some free food as a result - so really, it’s a gift for yourself too. Get it for: That friend who is always on food dates with bae. 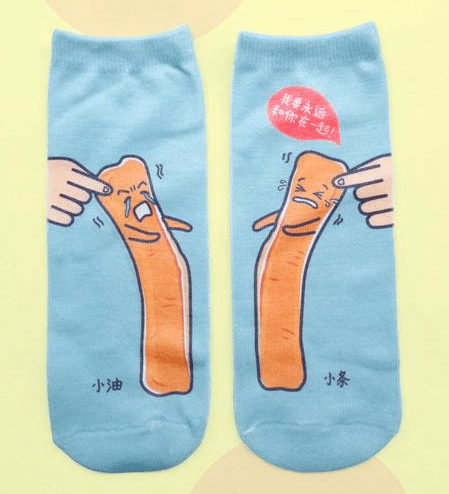 As if these you tiao socks weren’t cute enough, they have an even cuter storyline. Part of the Super Kopitiam Heroes series by wheniwasfour, Xiao You and Xiao Tiao - yes, those are their names - are just two breadsticks who can’t be apart from each other. If this isn’t perfect for your friend who’s always stuck together with their significant other, then you tiao me. The socks come in one-size-fits-all, and can be bought straight from their website here. Get it for: That friend who constantly has thoughts of food. Ever have a friend who makes you hungry just from their instagram captions? Get them some notebooks so they can write a whole lot more. 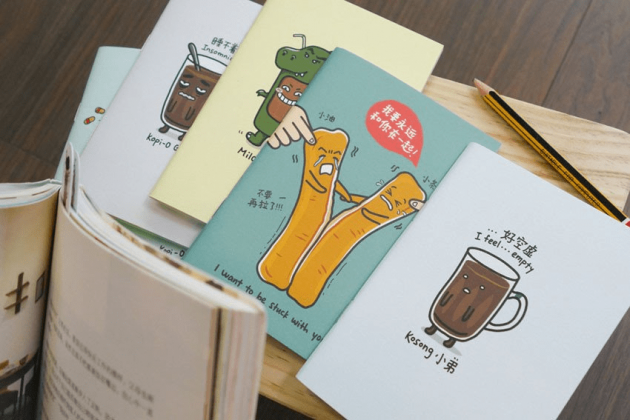 Like Xiao You and Xiao Tiao, wheniwasfour’s Super Kopitiam Heroes series comes with a variety of other zany characters based on well loved dishes like Kaya Toast, Milo Dino and even an emo Kopi-O Kosong. Cheer him up and get a notebook or two! You can get it here on their direct website, or at a $10-for-2 deal at The Farm Store here! Get it for: That friend who loves being healthy. I have a bag, I have a pineapple - okay, let’s not go there. 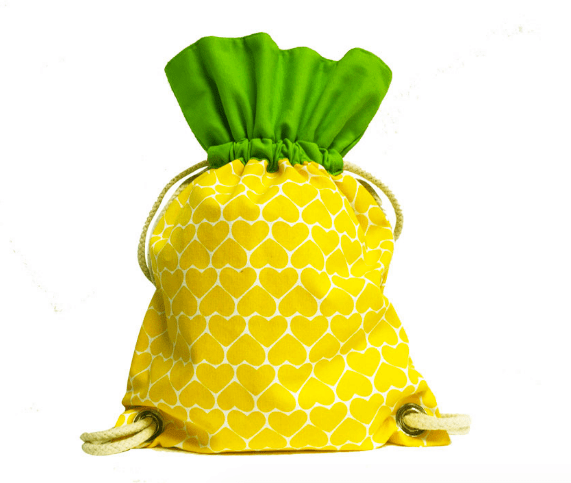 But thanks to Ang Ku Kueh Girl and Friends, the pineapple bag does exist and would be an adorable addition to any outfit. Made from thick canvas material and fitted with zippered pockets, it makes for a sturdy and functional everyday bag. Get it for: That friend who sticks to the classics. Everyone loves Chicken Rice, or at least everyone should. 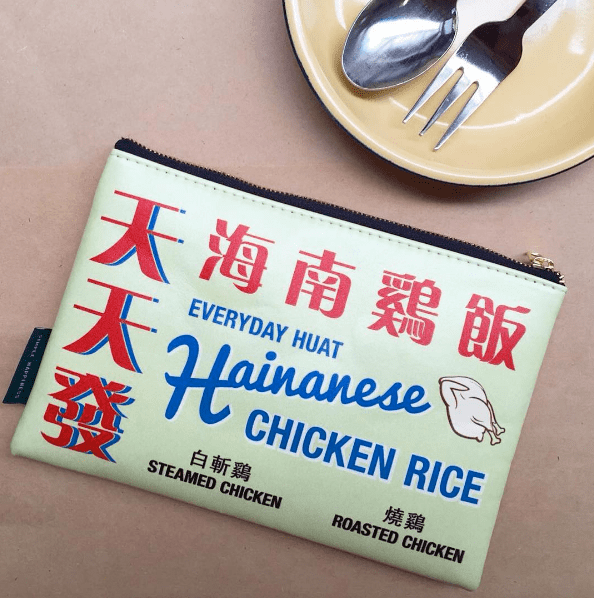 These pouches will strike a nostalgic chord for sure with their vintage hawker signboard prints. And don’t limit yourself to just Chicken Rice! Other designs include Ice Kachang for the sweet tooth and Chilli Crab for someone who likes things a little more spicy. Each pouch is made of durable PU leather and at 21cm x 14 cm, can be used as a handy purse or even a pencil case! No Christmas is complete without telling people you love them. Let someone special know how much they mean to you this Christmas with these lovely greeting cards by The Little Dröm Store! And of course, by someone special, I mean that friend who’s always up for supper at 2 a.m. The cards come in a variety of patterns which can be bought here, and selected designs are available at a 3-for-$15 deal at The Farm Store here. We all have that one friend who seems to be constantly eating. Messages are various permutations of ‘Want to go supper?’ or ‘Wah, I wonder what’s for dinner’ when it’s not even lunchtime yet. 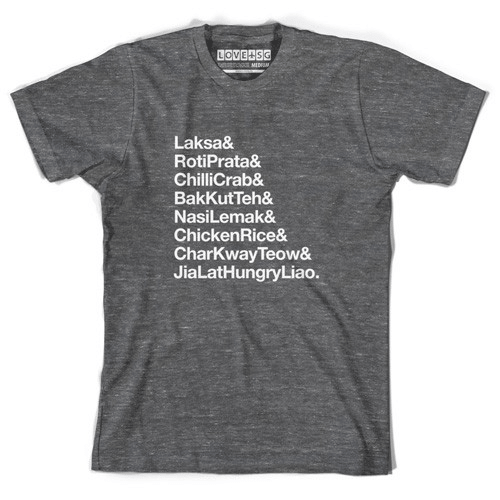 LOVE SG’s Hungry Liao tee might cost a little extra, but is basically every foodie’s inner monologue - mine included. With so many local classics in one list, it’s no wonder reading this shirt is going to get anyone’s tummy rumbling. The tee is preshrunk for minimal shrinkage and screen-printed; it’ll be able to last many rounds of supper for sure! The holidays are a time to get together with the people you love and celebrate, so spoil someone with these quirky gifts that are bound to put a smile on anyone’s face! Forget food vouchers and lame presents like chocolates, food-themed presents are obviously the way to go. And if you happen to be the one who’s always got food on your mind, I’ve got a solution for you. Just use this article as your wish-list and give out some not-so-subtle hints to your friends!